ON THE NIGHT YOU WERE BORN: CUSTOM STAR MAP • U Ready, Teddy? This post is sponsored by Greater Skies and may contains affiliated links for your convenience. 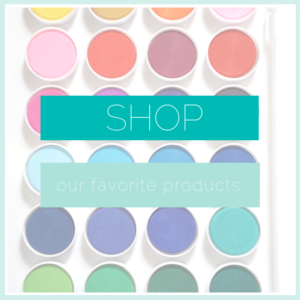 I only write about products I love and all thoughts and opinions expressed are my own. For more information see Legal. One of the cutest parts of our old renovated farm house is this little built in day bed in our sitting room. It has a ton of character, but also probably had a ton of bugs and mouse poop thanks to the mattress frame that was at least 50 years old. We tossed the mattress frame, sanitized everything and put the mattress directly on the wood platform. Then, we bought a cheap set of twin sheets on Amazon to cover the mattress and added a few pillows to at least make the daybed somewhat functional. 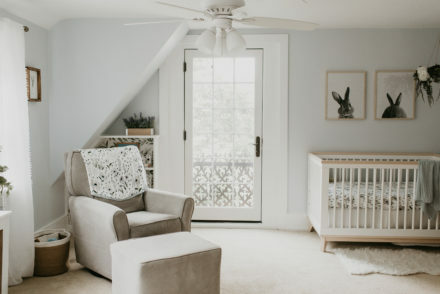 However, for the first year we lived in our house the daybed's primary use was for dumping unfolded laundry when I needed the hamper to put MORE unfolded laundry. 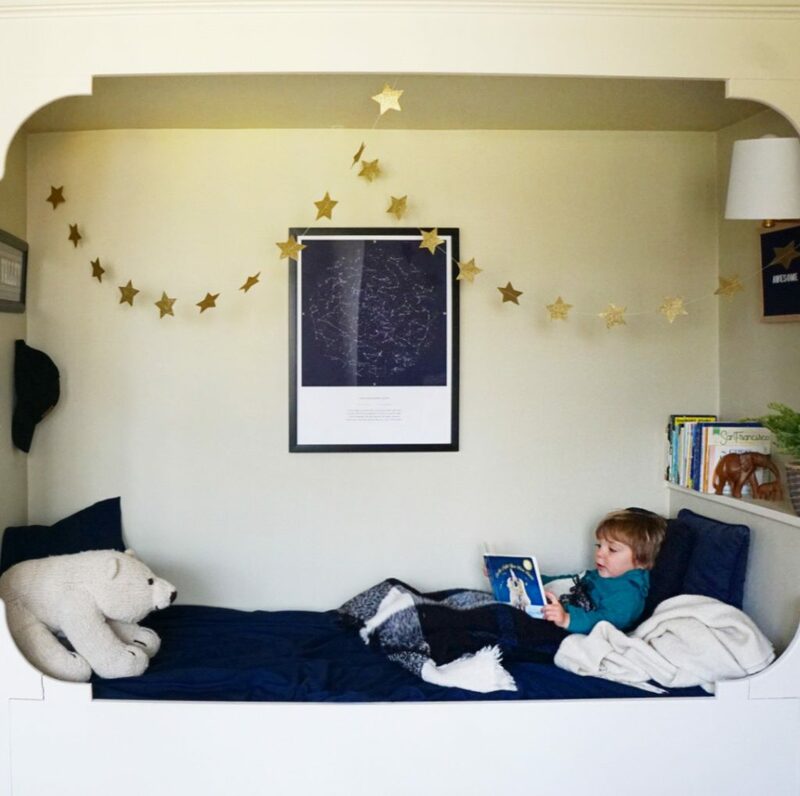 It was time for this daybed to get a makeover and turn it into a cute little reading nook inspired by one of the cutest books On the Night You Were Born by Nancy Tillman. 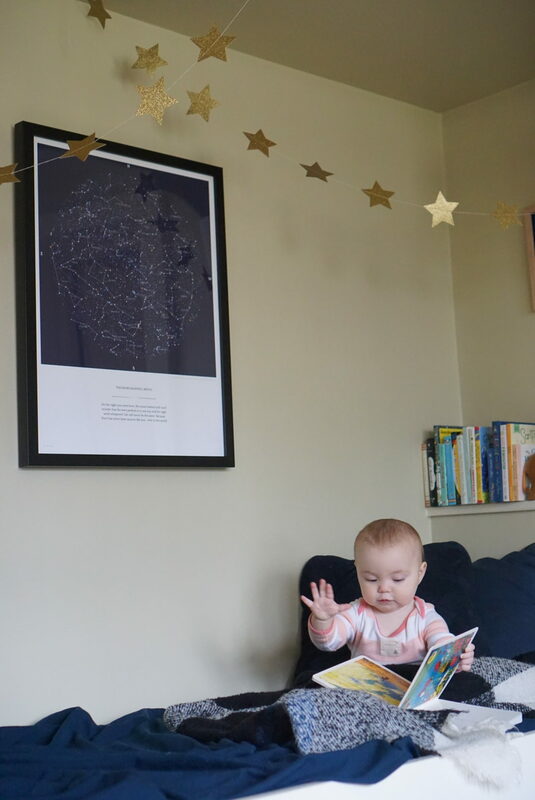 The centerpiece of the reading nook was this awesome custom star map from Greater Skies. Greater Skies lets you choose a place, a date, and a time, and they create a high-quality map of the sky that was over that special place, at that special moment. The map includes the stars, the planets, the Moon, the Sun, and the constellations. 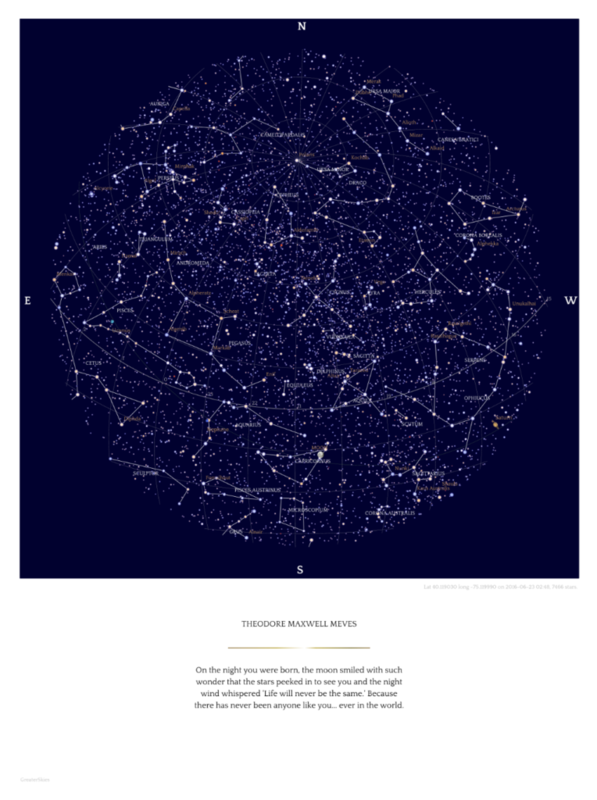 The custom star maps would make the perfect Valentine's Day gift for your someone special. 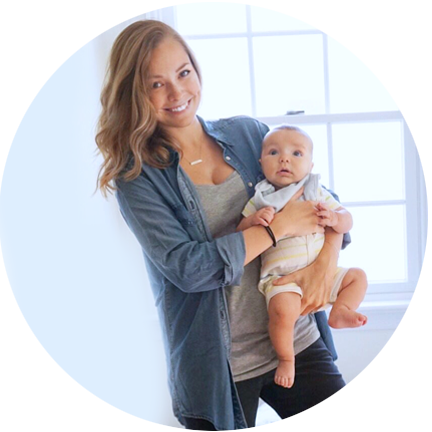 Capture the moment you married your spouse or the time and place where you met your best friend, the day of your little one's birth. 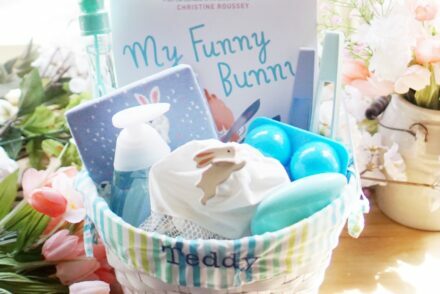 They would also make a great baby gift, birthday gift or anniversary gift. We picked the location of the hospital where our kids were born and we picked my son's birth date (We figured he might eventually want it for his room). We customized the text to include his name and a quote from On the Night You Were Born. there has never been anyone like you... ever in the world." Maybe seeing this quote everyday will desensitize me enough that I'll be able to read that part of the book with out tearing up like a big sappy baby. But, probably not. 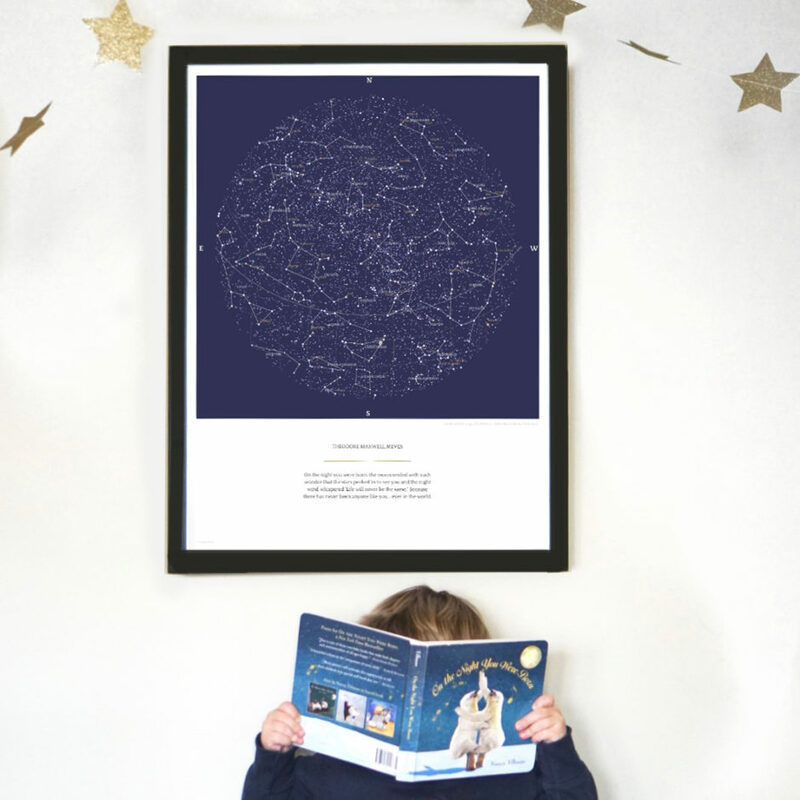 The star maps come in several styles and colors, but we chose the Classic style in the ultramarine color. I was a little nervous about the color, because online it looked a little indigo, but the ultramarine is the perfect dark navy color which is exactly what I wanted. The color looks great with the gold accents from the constellations and the line under the title. You can download and print the maps yourself or choose a printed map with or without a frame. 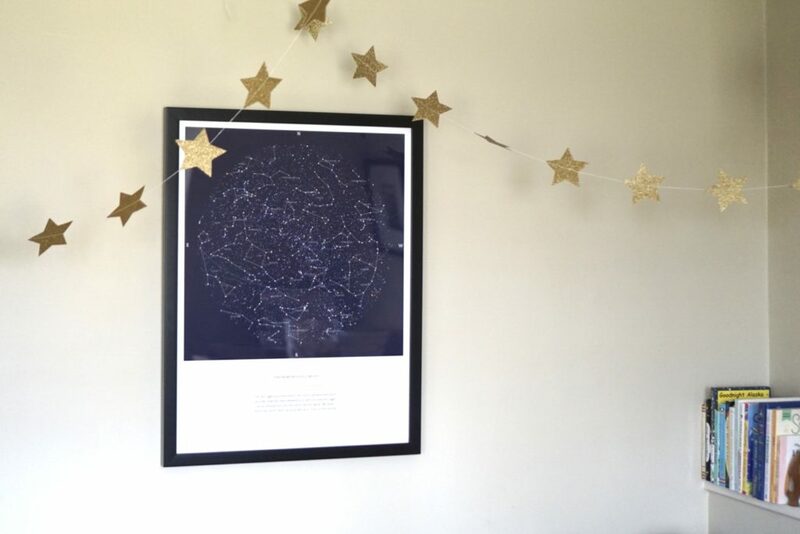 Our custom star map is the 18x24 printed map with the black frame. It was the perfect size for the reading nook! 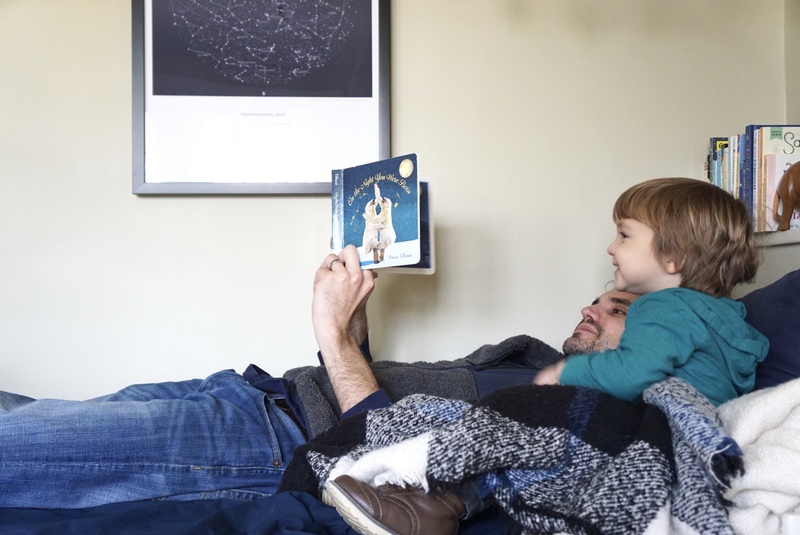 To complement our new star map, we added a gold glitter star banner, some cozy blankets and a knitted polar bear stuffed animal like the polar bear on the cover of On The Night You Were Born. I also moved our navy blue letter board to the reading nook and added a cute faux house plant. I need to find a few more comfy throw pillows and give the walls a little paint refresh, but all-in-all we love how it turned out. 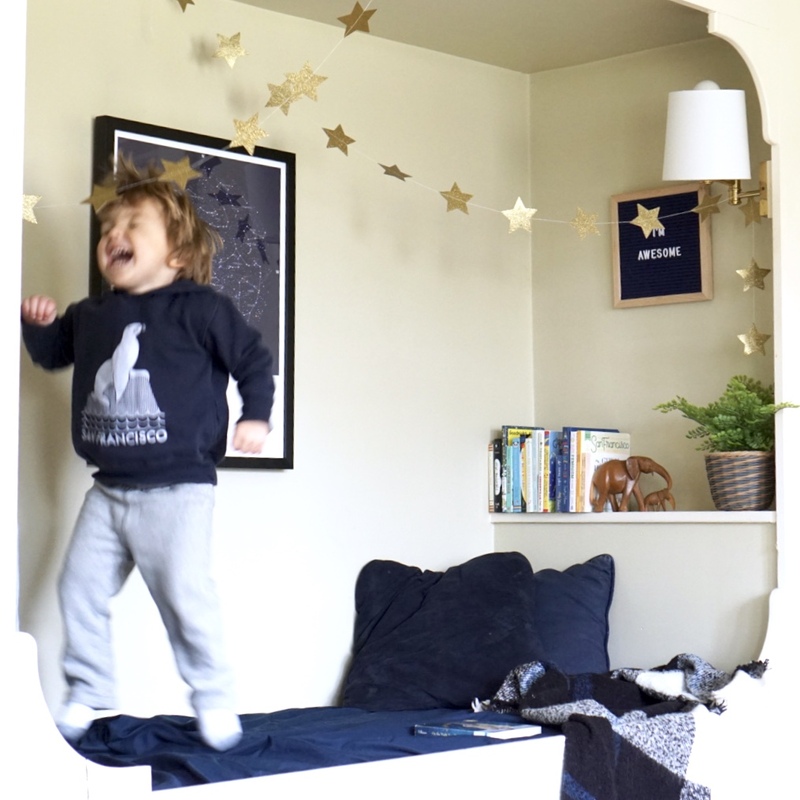 You can see in the blurry picture below Teddy is loving the reading nook. 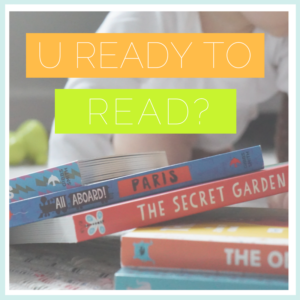 I'm hoping it will inspire our kids (and maybe even us) to snuggle up and read more! Follow us (if you aren't already) and follow Greater Skies @greaterskies. Tag a few friends that would love to win a Greater Skies custom star map in the comment section. The giveaway will end 2/5 at midnight EST. Good luck! WHAT SPECIAL MOMENT WOULD YOU CHOOSE? If you won a Greater Skies custom star map, what special moment would you choose to capture in the night sky? Let us know in the comments below!